You are here: Home / Recipes / Cake Recipes / Turtle Cake Recipe! Turtle Cake is delicious and it is a decadent must have for Valentine’s day. 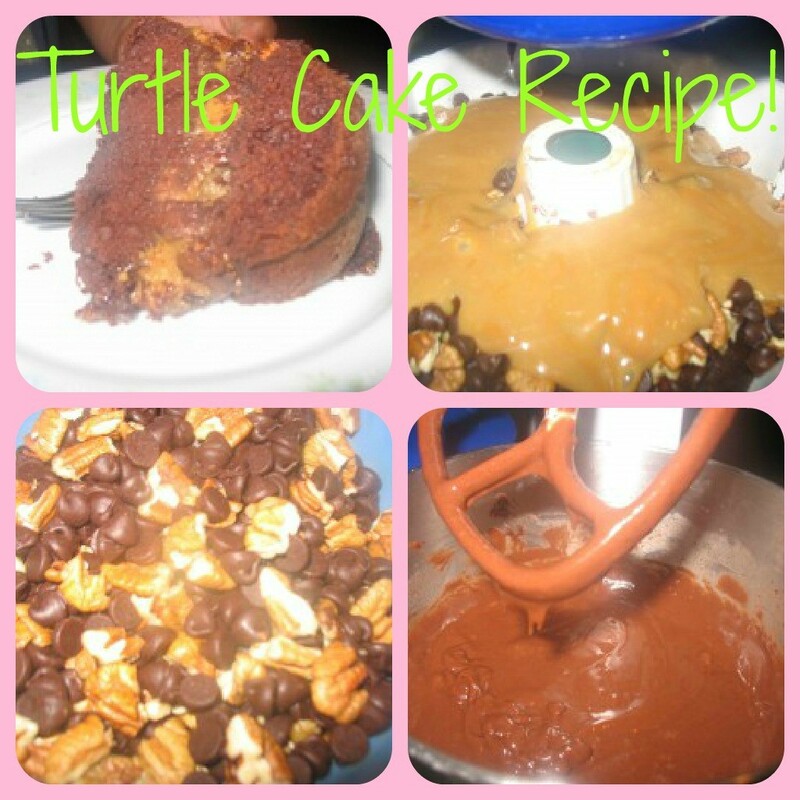 You will not believe how easy it is to make Turtle Cake. In a bowl, mix your Devil’s Food cake mix (eggs, cooking oil, water) the way you normally would. Pour half the batter into a pan and bake it at 350 degrees for 15 minutes. Meanwhile, melt the 3/4 cup of butter in a saucepan. To the butter, add the sweetened condensed milk and caramels. When the half of the cake mixture is done its time to layer your turtle layer. Take your hot cake from the oven. Grab your chocolate chips and pecan halves. Pour them onto the hot chocolate cake. Now pour on the caramel sauce. Now pour the remaining batter on top of this mixture and bake at 350 degrees for 20 minutes. This cake actually gets better the next day. The caramel center stays soft and delicious.